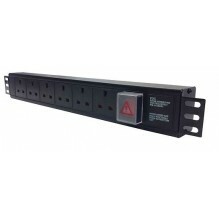 6 Way UK horizontal PDU for mounting within 19" racks and enclosures. 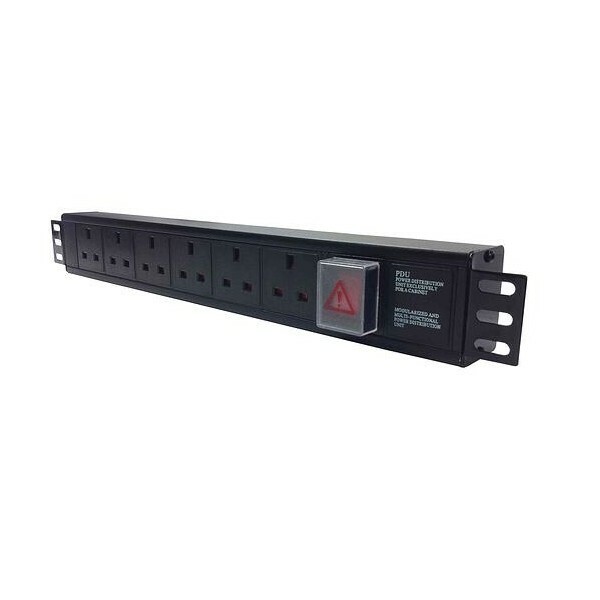 The 3m 1.5mm power lead exits the PDU at the rear, making the mounting of the PDU easier whilst taking up just 1.5U of rack space. Comes with 16A Commando plug.